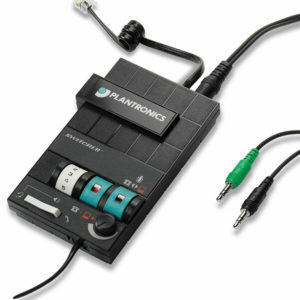 The Plantronics USB-to-Headset Amplifier and Audio Processor helps organizations optimize their unified communications deployment by bringing superior call clarity to headsets for Internet calls and other PC-based voice communications. 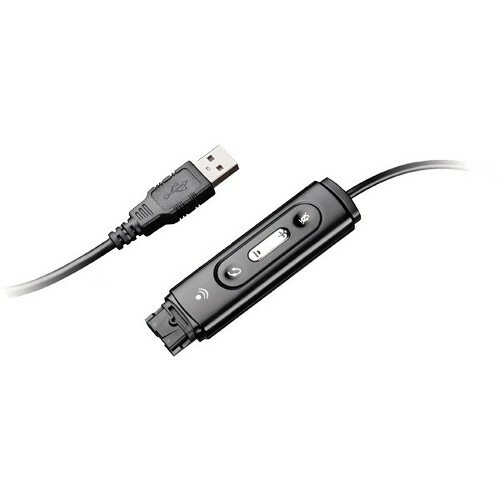 Compatible with Plantronics H-series headsets, this corded USB-to-headset adapter and audio processor offers advanced audio technologies and several features that help users remain productive and comfortable on the job, including plug-and-play connectivity, ergonomically designed inline controls, and Quick Disconnect capability. 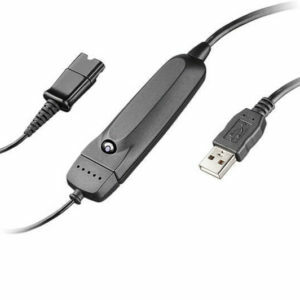 “Standard Weight” extension for your H-series headset cable for greater mobility.”Standard Weight” extension for your H-series headset cable for greater mobility. 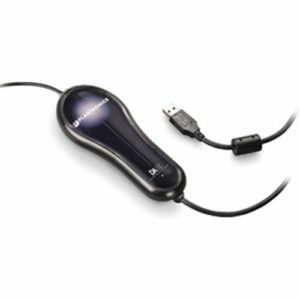 Affix this clip to your desk to hold your headset cord and keep it out of your way. 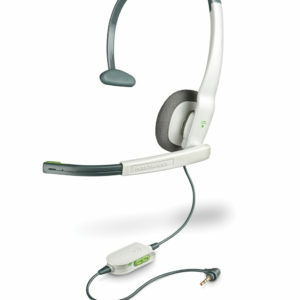 Y Adapter Trainer 27019-03Training Y-Connector connects two headset tops to a single headset adapter for training purposes. Bottom coiled cable that plugs between the Plantronics H-series headset and Plantronics M12, M10, or MX10 amplifiers.